Home > Roof > Tiling a Roof: How Much Does it Cost? 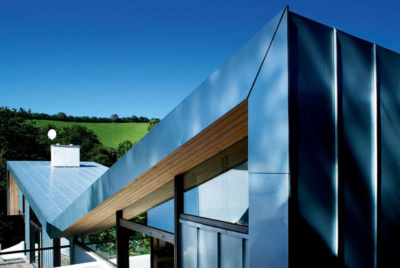 The choice of roof covering can have a significant impact on the eventual look of the home. And yet, in the initial stages, much more attention is lavished on the layout and the external cladding of the walls. However, it is the roof that makes an enclosure into a home and the choices tend to reflect the region in which the home is built. 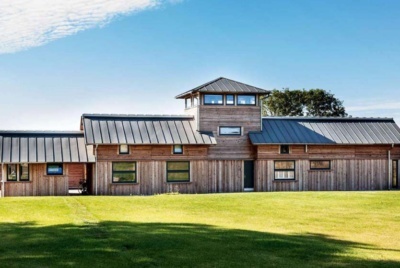 Of course, there are many forms of roof covering, from the traditional thatch to the more contemporary sheet roofing; not to mention green roofing, which is taking up an increasing chunk of the market. Nevertheless, for most self builders the choices revolve around plain tiles, interlocking tiles and slates. 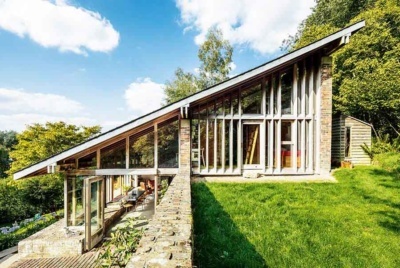 The costs set out below relate to a modest L-shaped bungalow with a roof area of around 180m2 and with one valley, hip and ridge tiles, and a universal dry hip and ridge system. 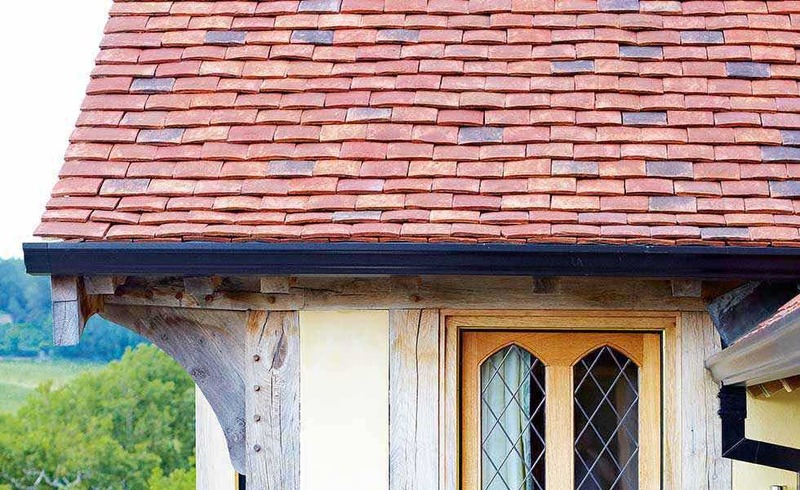 To simplify the comparison, the same clay ridge and hip tiles are specified. The valleys for the plain tile and slate options are assumed to be lead, while the valley for the interlocking tile option is GRP. (If valley tiles were required for the plain tile option the price would subsequently increase, as each valley tile would cost around £5). 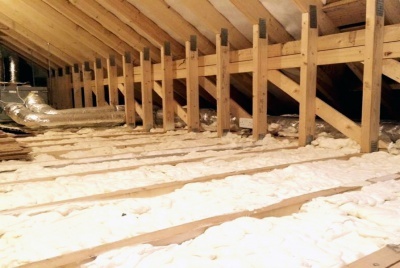 In Scotland, a layer of sarking decking is required over the trusses and beneath the underfelt, necessitating counter battening down the roof. These are the small – usually 267x165mm – rectangular tiles that give so many country properties that distinct feeling of mellowness. Traditionally they were made of clay and they often had a camber naturally built into them in one or both directions, causing them to lie slightly unevenly. Modern versions in either clay or concrete can mimic this, but the older and more traditional tiles are still available — albeit often handmade and, therefore, much more expensive. Of the three mainstream roof covering choices, plain tiles, whether clay or concrete, tend to be the most expensive, and that’s mainly down to the increased labour costs of having to lay and fix around 60 tiles per square metre. The overlap on the tiles means that there is practically three times the amount of battening required and, while the batten itself is cheap, the labour to fix it is much more intensive. This is the cheapest roof covering option and it is the one that many volume housebuilders default to for that very reason. Once again, there are many versions both in clay and concrete with some that mimic traditional single roll pantiles, some that emulate (without close inspection) the flat planes of slate roofs and then there are others which unashamedly present a profile in their own right. 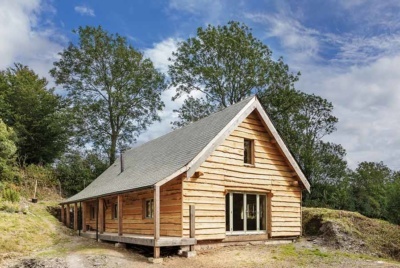 Just because they are the cheapest option, doesn’t mean that they don’t have a place in self-build, particularly where many infill plots have to fit in with existing styles and choices of materials. Each interlocking tile costs over twice the cost of a plain tile. But, at an average of 11 to the square metre, far fewer tiles are needed and the labour costs for fixing them are significantly reduced. The cost of battening the roof is also much less as the gauge or distance between the battens is 300mm or more. The waterways and canals of the Victorian era made the transportation of slates from the Welsh hills much easier and their use and popularity grew. Today, they are still one of the most popular forms of roof covering, despite the fact that only a tiny minority come from Wales and the rest of the UK. Natural slates are now imported from China, Brazil and Spain in colours that can closely follow the traditional, and much more expensive, Welsh equivalents. 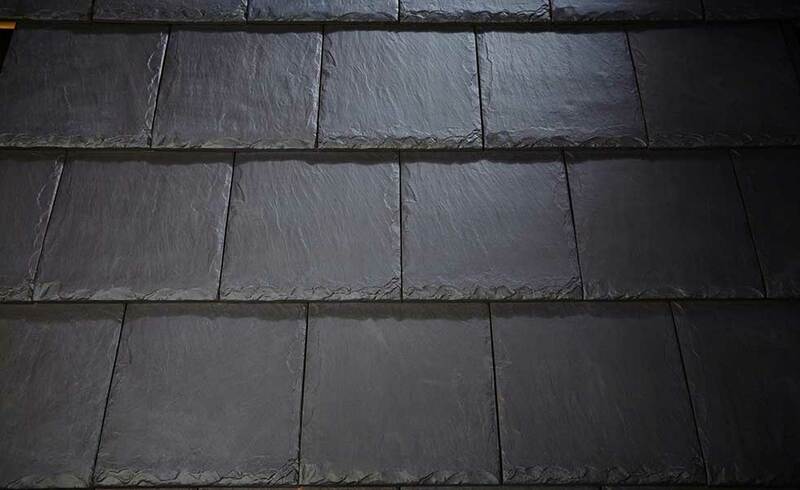 Natural slates, like plain tiles, do not have any drips or contours and therefore have to be laid in such a way that every part of the roof is covered. This means that at some points they may be treble lapped. Manmade slates are also available — those that directly mimic natural slates are no cheaper but are perhaps slightly more durable. Others conspire to look like natural slates, while actually being interlocking; whether they ever achieve their goal of looking like the real thing is debatable.